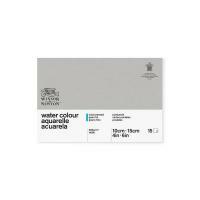  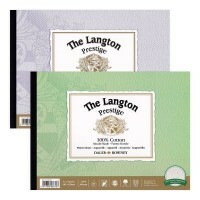 Traditionally, the highest quality watercolour papers have always been manufactured from cotton fibres, which impart strength and durability to the sheet. 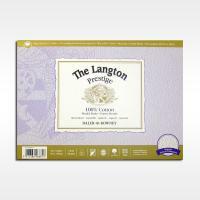 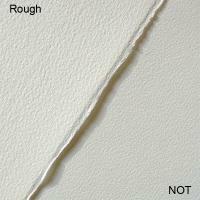 The term 100% rag is still used to denote pure cotton fibre content and freedom from any wood pulp. 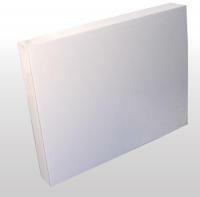 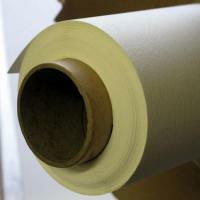 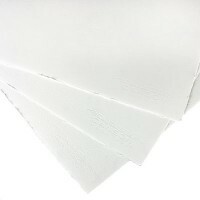 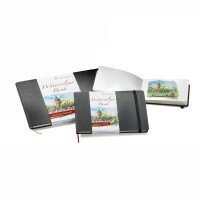 High quality artist papers are made on a mould machine, which provides all the appeal of hand made paper, but without the inevitable variations from sheet to sheet. 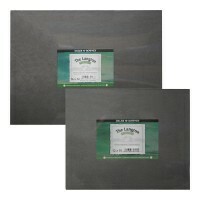 Additionally, the best papers are manufactured to be acid free, thereby preventing degradation. 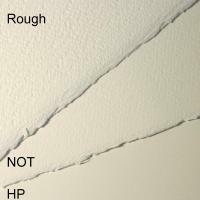 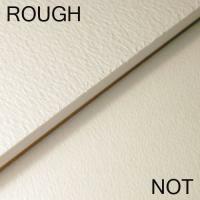 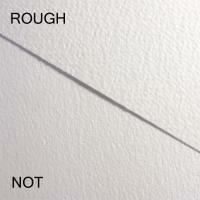 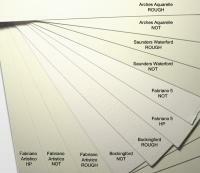 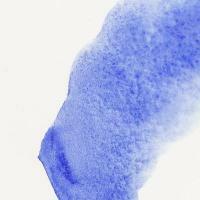 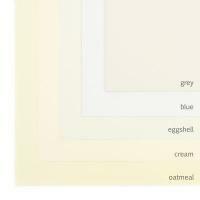 There are three main surface textures to watercolour papers, HP, CP (NOT) and Rough. 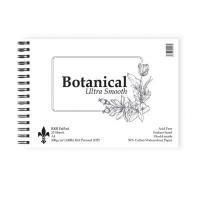 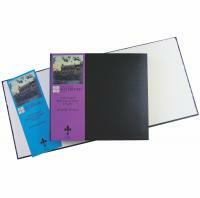 HP stands for ‘hot pressed’ and is the smoothest paper suitable for high detail work. 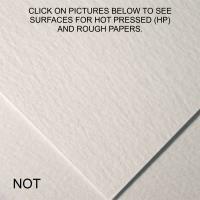 CP stands for ‘cold pressed’ (and is also commenly known as NOT - as in ‘not hot pressed’) is a slightly textured surface and popular because it is suitable for most types of work. 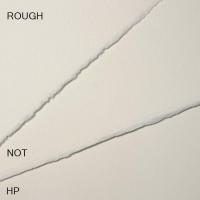 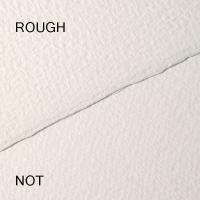 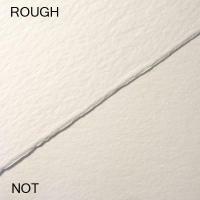 Finally, there is ‘rough’, which is exactly what its name suggests, suitable for landscapes, seascapes etc., where a heavily textured paper enhances the final piece of work. 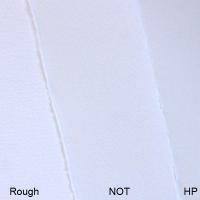 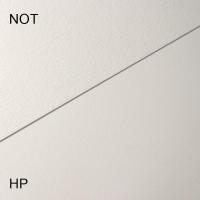 When heavy washes are used on lighter weight paper, stretching is recommended otherwise the paper will buckle or cockle. 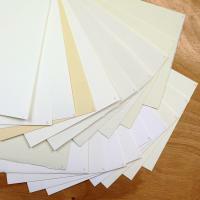 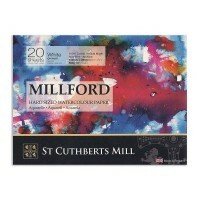 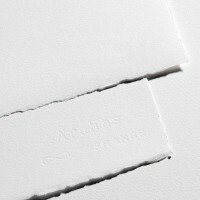 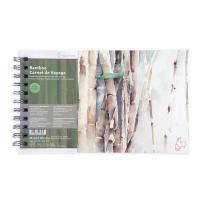 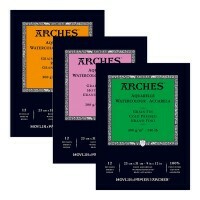 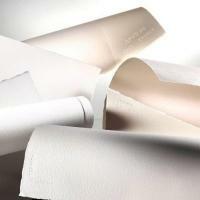 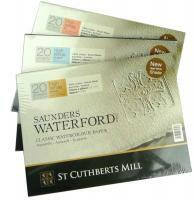 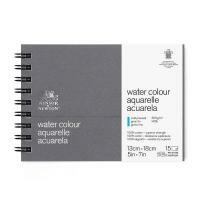 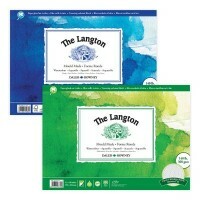 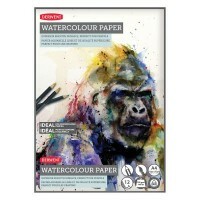 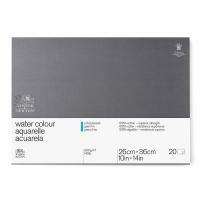 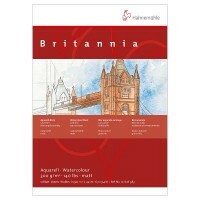 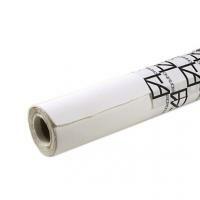 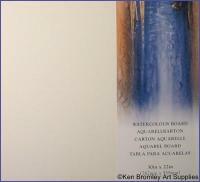 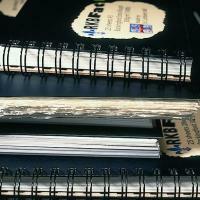 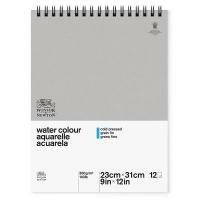 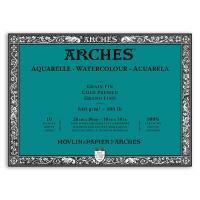 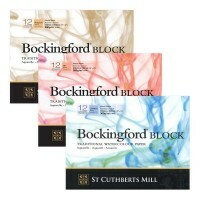 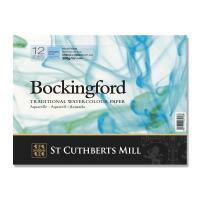 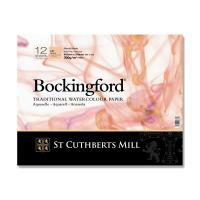 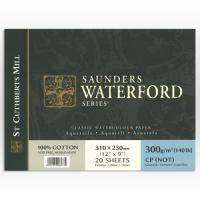 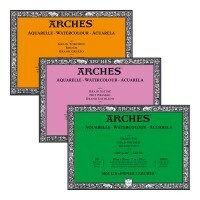 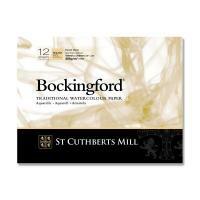 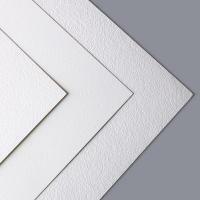 We stock many brands of watercolour paper, Bockingford, Saunders, Arches, Fabriano and many more. 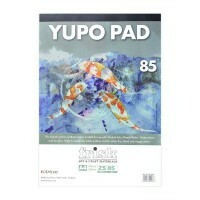 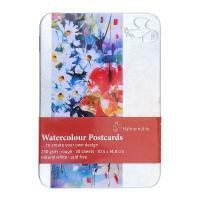 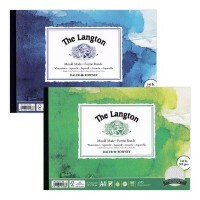 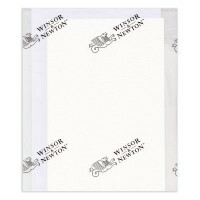 Our papers are available in loose sheet watercolour paper packs, watercolour pads, and watercolour blocks and watercolour boards.